A lot of MMORPGs have weather that changes from rainy to sunny or cloudy or any other type of weather, usually this type of the weather changes at random. This is a great feature that can create a better atmosphere for players, especially seasonal weather changes such as having snow during winter. It allows players to get into a more festive spirit while they're playing. Weather changes make the MMORPG more realistic, especially when there is night time and day time that changes depending on the amount of time that passes. Usually time on MMORPGs doesn't scale to real life. For example in a lot of MMORPGs the time can go several times faster than in real life, therefore the time of day changes several times during a single day in real life. Although some MMORPG times do scale to real life, making them feel even more realistic. 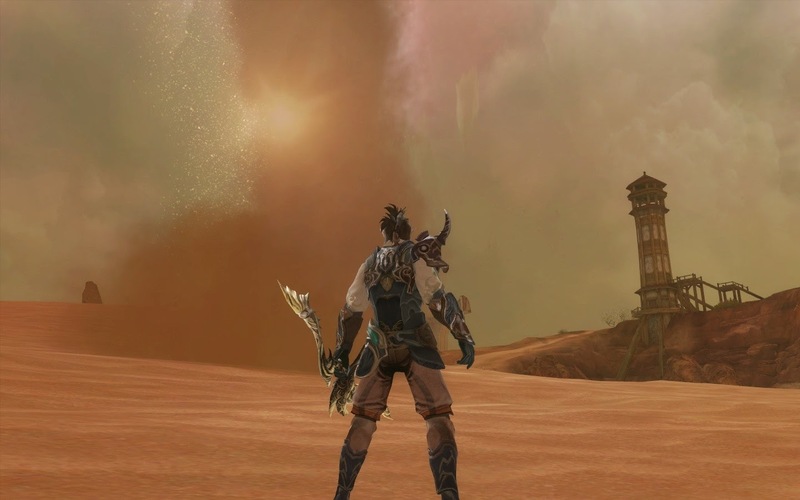 Weather changes in general can make for much better scenery too, and allows MMORPGs to get creative with the types of weather they want to include in the game, such as misty weather or thunderstorms. Other things that can change the weather on an MMORPG are specific areas where the weather never changes and is usually different to the rest of the MMORPG. A lot of MMORPGs tend to have snowy areas no matter what time of the season, where certain beasts that have adapted to the cold can be found. While other areas can include deserts or extremely hot places even during winter.